Celsius Design Limited have supplied and installed more Evaporative cooling systems in Data Centres, Computer Rooms, Server Rooms and IT Rooms than any other company in the World. Providing a Low Carbon Cooling and Green cooling alternative to air conditioning. This is the ideal way to cool your Data Centre and save thousands of pounds on installation costs, annual running costs and also thousands of tonnes of Carbon emissions per annum. Environmentally friendly, low energy cooling at its best. 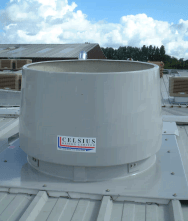 Why choose Celsius for your data centre cooling? We can design, supply and install Energy efficient Evaporative cooling systemfor Data centres with cooling loads as low as 10KW to over 2,000KW, the bigger the Data Centre, the bigger the savings. We have installed some of the largest Data Centre Evaporative air cooling systems in the world, for example, for BlueChip Limited, providing over 720KW of evaporative cooling for their co-location site in Bedford and provided over 1000KW of Data centre ventilation for 4D Data Centres in Byfleet, both systems includes high efficiency filters and PLC control systems interlinked into their Building management systems for accurate and reliable control. The systems are fully ASHRAE compliant for temperature and keeps their Power usage effectiveness (PUE) as low as 1.2, this is very low, as many Data Centres have a PUE well in excess of 3, mainly due to the use of inefficient, environmentally damaging refrigeration based cooling systems. Typically, in most conventionally cooled Data Centres nearly half the total energy consumption is used to cool the IT equipment. Data Centre cooling has the equivalent Carbon Footprint to Air Travel with Celsius EcoCooling Evaporative cooling this can be dramatically reduced and provide efficient low carbon cooling. The Data Centre Cooling systems are modular and built up of individual 35KW modules and typically each EcoCooling unit used you will save you over 60 tonnes of carbon per annum and save over £13,000.00 in running costs when compared to conventional air conditioning. So, typically your Data centre cooling or Data centre ventilation project could pay for itself in under two years. We have a designed and installed two cooling systems for both Nottingham Trent University and Worcester Technical College that are totally Carbon Neutral, the EcoCooling units are powered by PV Cells on the roofs of the buildings meaning that they really are using low Carbon Cooling in providing Data Centre cooling with no Carbon emissions what so ever!! 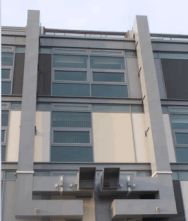 How does the Celsius EcoCooling system work in Data Centres? Three years ago Celsius installed an EcoCooling Data centre cooling system for Aberystwyth Council at their Aberaron data centre, it worked that well delivering all the savings promised (over 80 tonnes of carbon per annum) as part of their carbon reduction program, therefore, when the cooling system in their main Data centre in their state of the art head office required a new back up system they approached us for our innovative solution. Celsius have recently installed evaporative cooling systems for 6 Go Outdoors stores that suffered from severe summer overheating problems, the first was at Taunton and as this was so successful the Oxford store soon followed. The Celsius EcoCooling evaporative cooling approach has now been established as the Go Outdoor’s chosen solution for all of their stores, it fits in perfectly with their low carbon approach.